It’s been a big year for the Mediterranean diet. Convincing evidence published in 2013 has shown that this kind of eating pattern is effective at warding off heart attack, stroke, and premature death. While you probably get the biggest payoff by adopting such a diet early in life, a new study shows that doing it during midlife is good, too. Researchers looked at the dietary habits of more than 10,000 women in their 50s and 60s and compared them to how the women fared health-wise 15 years later. Women who followed a healthy diet during middle age were about 40% more likely to live past the age of 70 without chronic illness and without physical or mental problems than those with less-healthy diets. The healthiest women were those who ate more plant foods, whole grains, and fish; ate less red and processed meats; and had limited alcohol intake. That’s typical of a Mediterranean-type diet, which is also rich in olive oil and nuts. The report appeared yesterday in the Annals of Internal Medicine. Why would your menu in middle age protect your health later in life? “Several mechanisms may be involved, including lowering inflammation and oxidative stress, both systemically and within the central nervous system. These are two general pathways underlying many age-related chronic diseases and health conditions, such as age-related brain diseases and mental health. Other potential mechanisms include notably improving glucose metabolism and insulin sensitivity,” explains lead author Cécilia Samieri, a researcher at Université Bordeaux in France, who conducted the study while a postdoctoral fellow at Harvard Medical School. Good food is a pretty powerful health booster. Whole grains, legumes, fruit, and vegetables are packed with fiber, which slows digestion and helps control blood sugar. Monounsaturated fats in olive oil, nuts, and fish can have anti-inflammatory effects, which may help stave off heart disease and many other conditions. That Mediterranean-style diets have health benefits isn’t necessarily new. Past research has shown that this type of eating pattern can help lower cholesterol, help with weight loss, improve rheumatoid arthritis, and reduce the risk for developing Alzheimer’s disease, diabetes, and various types of cancer. What is new is that the fast-growing mountain of scientific evidence about the diet’s benefits is now at Swiss Alps level, and many health experts are hoping you’ll be inspired to start the journey to better health Mediterranean-style. Just do it slowly, cautions Stacey Nelson, a dietitian from Harvard-affiliated Massachusetts General Hospital. “It’s not realistic to make the changes overnight, but you can start with small changes,” she explains. Base every meal on fruits, vegetables, whole grains (whole wheat bread, brown rice, quinoa and bulgur), olive oil, beans, nuts, legumes (lentils, dried peas and beans), seeds, herbs and spices. Eat moderate portions of cheese and yogurt daily to weekly. Eat moderate portions of poultry and eggs every two days or weekly. Eat red meat sparingly or limit to three-ounce portions. Drink plenty of water each day, and drink wine in moderation—no more than one (5-ounce) glass a day for women, two glasses per day for men. Limit high-fat dairy by switching to skim or 1% milk from 2% or whole. You can eventually work up to swapping entire meals, such as ditching beef burgundy over white rice in favor of sautéed scallops over whole grain penne pasta. Make the transition gradually over weeks or months so your new eating style becomes a habit and not a fad. Permanent lifestyle change in midlife is what will help get you to the goal of good health in old age. I used to be suggested this website through my cousin. I’m not certain whether or not this publish is written by way of him as no one else understand such distinctive approximately my problem. You are amazing! Thanks! Great article, Really informative, Thanks for writing. I’ve been exploring for a little for any high-quality articles or weblog posts in this kind of area . Exploring in Yahoo I at last stumbled upon this site. Reading this info So i’m satisfied to convey that I’ve a very just right uncanny feeling I discovered just what I needed. I such a lot surely will make certain to don’t disregard this web site and give it a glance on a continuing basis. I lobe the Mediterranean diet, but I do wonder whether regionally derived diets like this do not have a partly genetic basis when they work i.e. those good folk who live in the Mediterranean have basically adapted to this diet over many generations and it’s their genetic inheritance that contributes to its success – just a thought and thanks for an interesting article and indeed for many interesting comments! Take healthy diet for healthy mind body and soul. The diet studied had whole milk and cheese in it not low fat and more alcohol reducing the fat and alcohol might hurt not help. And people just don’t want to drink eat low fat milk and cheese long term as studies show steady declines of drinking milk almost certainly the reduction in fat renders milk unable to compete with other beverages. Plus there is a fat in milk fat that might be very heart friendly. The secret might be that it’s not the amount of fat in items you eat that harms it’s the total amount of animal fats you consume, maybe even good to have high animal fat items in diet just at low total part of the diet like in the actual Mediterranean diet. The diet studied probably was raw milk as well but raw milk is dangerous at least to people who don’t live on farms. Mediterranean diet is really delicious and healthy. Thanks for your useful share. I really love Mediterranean and I also love healthy eating plans. 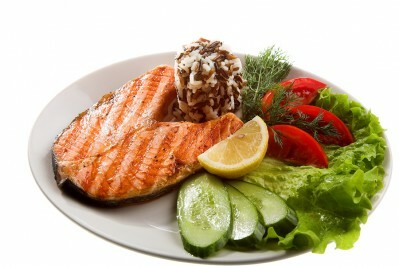 Traditional Mediterranean diet reduces the risk of heart disease which is common for aged people. Start at middle age, in my view, you’ll live up to 90yrs just like my grandmother. in small amounts it truly is tasty! nice post and really helpful. if you have any query about weight loss you can visit my site. we have provides weight loss services and As with any weight loss program, your actual weight loss is affected by various factors, including your body type, the particular program you choose, and how closely you follow the program. thanks for sharing such a helpful blogs..
Isn’t sunflower oil better than olive oil for frying(sautéing) foods?